I been to the Philippines 3 times and i must say you cannot go there with out trying The Chicken Inasal. I think on my trip the i have it every other day, the charcoal grilled chicken and the sauce they use has the right zing. I must also mention the meal is not complete with out dessert Halo-Halo must also be talked about. 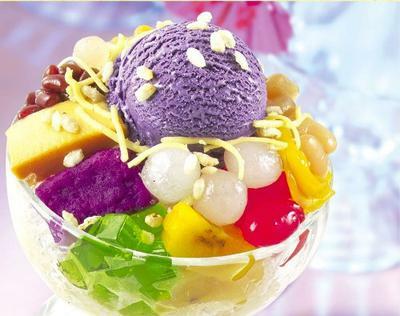 It is a popular Filipino dessert with mixtures of shaved ice and evaporated milk to which are added various boiled sweet beans, jello and fruits. It is served in a tall glass or bowl.